Phil Roberts and I found a juvenile White-crowned Wheatears Oenanthe leucopyga at Haradh on 13 January 2017. 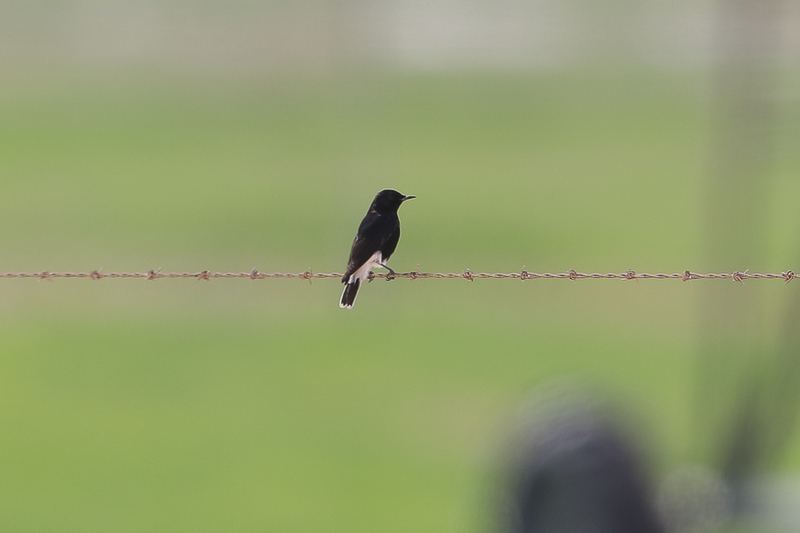 The bird was seen along a roadside with scattered rocks as well as fences to keep people away from the pivot irrigation fields. This species had not been recorded in this area previously according to Mike Jennings, but is one of the most common wheatears in the Kingdom having been seen in more areas than any other. 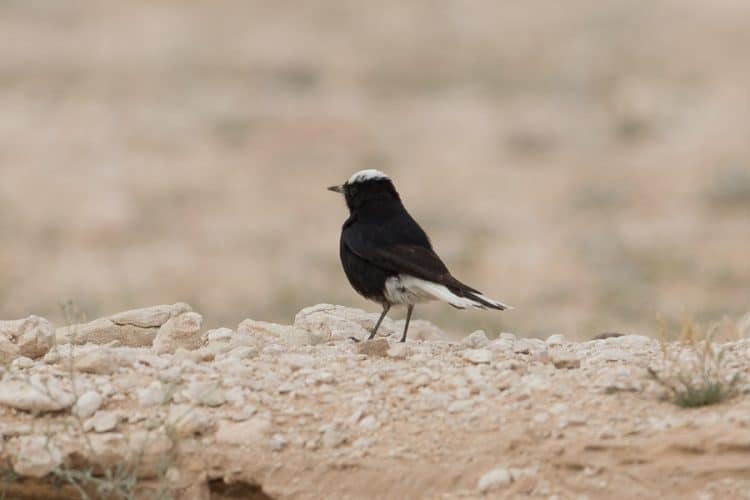 White-crowned Wheatear is an uncommon resident in areas where it is found, normally associated with granite and sandstone jebals and other rocky areas although it status in the southern part of the Kingdom is unclear. 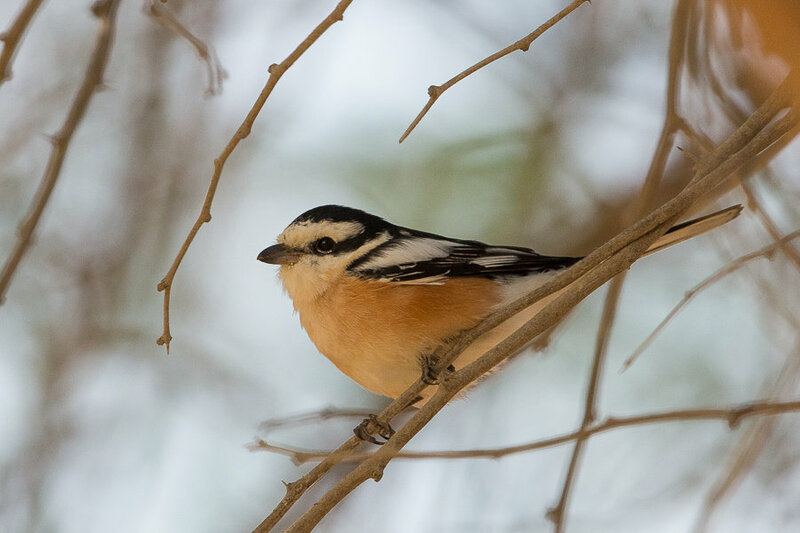 Birds of the Riyadh Region (1984) said they were locally common breeding resident with some movement within the region post-breeding and during the winter months. Jennings Birds of Saudi Arabia (1981) said they were a locally common breeding resident in dry rocky areas. Occurs Hejaz north from Taif, Northern Hejaz, Asir south of Soudah and Najran, Tuwaiq escarpment and locally in the Gulf. Also Jauf, Hail and Dawadimi. In my area of the Eastern Province they are only commonly seen in the Shedgum Escarpment so the bird at Haradh was a good but unexpected find. POLL: Should Japan be sanctioned for continuing commercial whaling?